One of the entertainment industry's most honored actresses, Christine Baranski has achieved acclaim in every medium in which she has performed. Baranski is an Emmy, two-time Tony, Screen Actors Guild, Drama Desk, and American Comedy Award winner. A native of Buffalo, NY, Baranski attended the Juilliard School. She received her big break when cast in Tom Stoppard's hit Broadway comedy The Real Thing, directed by Mike Nichols, for which she won a Tony Award and Drama Desk Award. Baranski went on to earn a second Tony Award for her performance in Neil Simon's Rumors. Also, she appeared in Boeing-Boeing, HurlyBurly, The House of Blue Leaves, The Loman Family Picnic, Regrets Only, Encores! productions of Follies, Promises, Promises, and On Your Toes, and the Kennedy Center productions of Sweeney Todd and Mame. 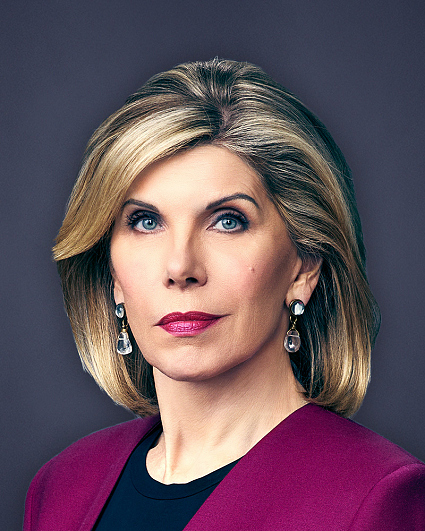 In addition to earning an Emmy Award for her role on the CBS comedy Cybill, Baranski received an American Comedy Award for Outstanding Supporting Actress in a Comedy, as well as a Screen Actors Guild Award for Outstanding Lead Actress in a Comedy. She went on to receive three additional Emmy and three Golden Globe nominations. Also, she had a guest role on Frasier, which earned her a fifth Emmy nomination. She has appeared on multiple episodes of the CBS series The Big Bang Theory, and received four Emmy nominations for Outstanding Guest Actress in a Comedy Series. Recently, she concluded seven years on the hit CBS series The Good Wife, for which she received six Emmy nominations for Outstanding Supporting Actress in a Drama Series and two Critics' Choice Television Award nominations. Currently, Baranski stars in A Bad Moms Christmas alongside Mila Kunis, Kristen Bell, Kathryn Hahn, Susan Sarandon and Cheryl Hines. Additionally, Baranski will reprise her role as Tanya from Mamma Mia in Mamma Mia! Here We Go Again. The film is set to be released on July 20, 2018. Baranski's additional film credits include Trolls, Miss Sloane, Into the Woods, Chicago, How the Grinch Stole Christmas, Bowfinger, Bulworth, Cruel Intentions, The Birdcage, Reversal of Fortune, Legal Eagles, The Ref, The Addams Family Values, Welcome to Mooseport, The Guru, 9 1/2 Weeks, and Jeffrey.